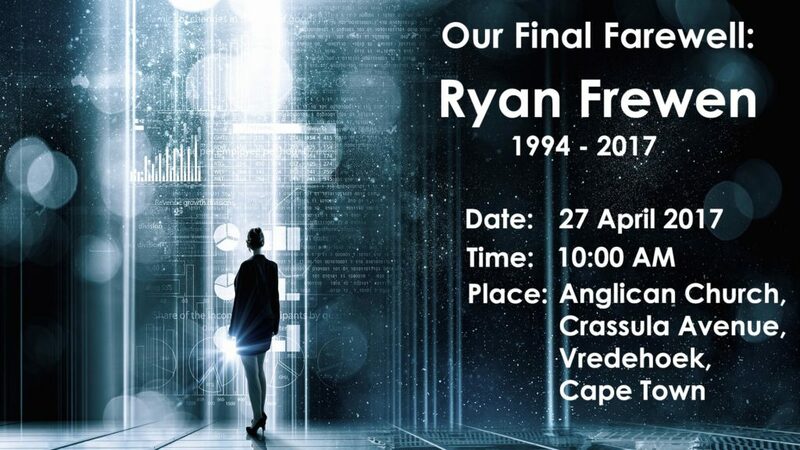 Tomorrow we will be having a service for Ryan Victor Frewen for people to come and pay their last respects to him. We will be holding the service at the Anglican Church in Crassula Avenue in Vredehoek, Cape Town. The Service will start at 10:00 AM and we will be having tea and coffee afterwards at the church. For anyone who cannot attend the service, or simply would like to reach out, please do not hesitate to send us an e-mail with your message to Ryan’s Family.